My chronic hives began last April of 2013. Since finding Dr. Poole’s study last August, 2013, I upped my dose that I began in July from 3000iu’s a day to 5000iu’s a day, I took 5000iu’s steady until December 31st I was able to get off prednisone which I was taking for a month in June, 2 Reactine, 2 Zantac, Benadryl here and there and doxepin which I was taking for 9 months steady every day. I previously had chronic hives in 2010 when my own physician remarked she had noticed many patients coming in with chronic hives. I think I had both of these occurrences of chronic hives due to my moving north and becoming more confined to the indoor lifestyle as I moved to a colder climate and I also believe I suffered a second occurrence because I was 3 years older than before and as you age you are less able to synthesize vitamin d. Because I became obsessed with googling everything I could about vitamin d throughout this 9 month period, I stumbled upon two very helpful books as I weaned myself off my allergy pills and increased my Vitamin d3 dose. One book was called The Miraculous Results of extremely High Doses Of Vitamin D3 by Jeff T. Bowles; I read this book at the end of December which encouraged me to take a higher dose than 5000iu’s a day starting January 1st. The reason I decided to take a higher dose was I fell off my front steps onto my tailbone and could not sit without terrible pain for 3 days but on the 4th day of taking 20,000iu’s of D3 the pain began to diminish greatly so I continued to take 20,000iu’s until the end of January when I thought I was healed from my sore tailbone. My physician had remarked at the beginning of January that it would take a couple of months for the soreness to go away. I had no more pain in one month of taking 20,000iu’s of vitamin d a day. Then I reduced the dose to 10,000iu’s and have been taking that amount almost all of February which is not over yet. By mid January I also had no more hives to show. The other treatment I gave myself was from Book number two You’re not sick, You’re Thirsty! by Batmanghelidj. I found this book mid-December, the information about histamine and how it works in the body is invaluable. I have been to an allergy specialist during both chronic hive occurrences, I am not allergic to anything according to the allergist’s tests. I think Vitamin d3 deficiency contributes to chronic hives and I also think chronic dehydration is a contributor as during my move I was busy and distracted and it wasn’t until I read You’re not sick, You’re thirsty that I realized I had not been drinking 2 litres of water a day. My husband watched my hives diminish in front of his eyes as I started to drink 2 litres of water a day; it took me about 5 days to become properly hydrated, I have been drinking 2 litres of water a day since mid- December. Now the last influential book I found today to keep me on the path of being free of hives forever is The Power of Vitamin D written by Sarfraz Zaidi, MD. This book gave me the complete overview of my situation since 2010 because this doctor writes about a condition called Hyperparathyroid Disease which I ended up with in 2013 and had my ‘inflamed to a grape size’ hyperparathyroid gland removed in June 2013 which I now have a one inch scar on my neck. Dr. Zaidi states in his book how this gland fails to work properly when you are deficient in Vitamin D. My blood results in August 2012, March, May and July of 2013 were all deficient in Vitamin D. The reason I was blood tested for Vitamin d is I am a Type 1 Diabetic, so if you do not have a chronic autoimmune disease you could have low vitamin d and never be tested. For example my healthy husband who works outdoors and because I was reading all this information about Low vitamin d he decided to experiment without a blood test first. He took 4000iu’s of Vitamin d for 4 months, when he had his blood tested he was low in vitamin d. He had to ask for the Vitamin d test. My husband also was on the verge in the Fall of 2013 with going through with a carpal tunnel syndrome operation on his wrist, that is why he decided to take some vitamin d. Although his vitamin d result was low his wrist improved on 4000iu’s of Vitamin d so he does not feel he will be needing an operation. In January because we read that when you live near the equator you get about 20,000iu’s of vitamin d, my husband also increased his dose to get his low d blood level up, he will have another blood test at the end of March. My husband also noticed previous aches and pains disappear and I noticed his hair that was turning gray turn brown. All of my blood results are now normal including my Vitamin d, it has taken at least 7 months of taking Vitamin D3 everyday to get those results in the proper place. I am sharing this with the readers because it is devastating when you visit your doctor 10 times in 4 months for more pills and leave the office feeling hopeless. Vitamin D3 should become a mandatory test for all human beings because we would save millions of dollars in health care costs and millions of lives from debilitation and depression. Take enough Vitamin D3 everyday for the rest of your lives, you are all deficient (get your 25 (OH) Vitamin d, 25 Hydroxyvitamin D) before your health is in trouble!!! It’s easier to take Vitamin D3 sublingually, (under the tongue) than taking an insulin needle 6 times a day along with 6 blood tests!!! A study by researchers at UNMC shows vitamin D as an add-on therapy could provide some relief for chronic hives, a condition with no cure and few treatment options. An allergic skin condition, chronic hives create red, itchy welts on the skin and sometimes swelling. They can occur daily and last longer than six weeks, even years. 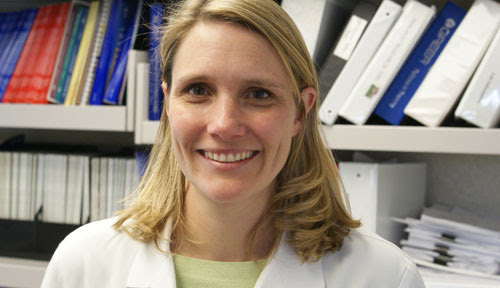 Jill Poole, M.D., associate professor in the UNMC Department of Internal Medicine, was principal investigator of a study in the Feb. 7 edition of the Annals of Allergy, Asthma and Immunology. The two-year study looked at the role of over-the-counter vitamin D3 as a supplemental treatment for chronic hives. See the published study here. Over 12 weeks, 38 study participants daily took a triple-drug combination of allergy medications (one prescription and two over-the-counter drugs) and one vitamin D3, an over-the-counter supplement. Half of the patient’s took 600 IUs of vitamin D3 and the other half took 4000 IUs. Researchers found after just one week, the severity of patients’ symptoms decreased by 33 percent for both groups. But at the end of three months, the group taking 4000 IUs of vitamin D3 had a further 40 percent decrease in severity of their hives. The low vitamin D3 treatment group had no further improvement after the first week. “We consider the results in patients a significant improvement,” Dr. Poole said. “This higher dosing of readily available vitamin D3 shows promise without adverse effects. Vitamin D3 could be considered a safe and potentially beneficial therapy. In the study, patients had suffered from five to 20 years with severe hives. Some had been on therapy and others none. The cause of hives is not generally known, but allergy and autoimmune reactions sometimes play a role. Treatment options for chronic hives are limited. She said the study didn’t include patients with kidney disease or those with calcium disorders. The study was funded through a $50,000 grant from the American College of Allergy, Asthma and Immunology and the UNMC Clinical Research Center.